Does renewable energy cause fuel poverty? There has been a great deal in the news over the past 12 months over how renewable energy subsidies are increasing the prices of energy, and how they are increasing fuel poverty. But how true is this? What real effect does renewable energy have on bills? It is true that bills are increasing, and that this is having an impact on fuel poverty levels. 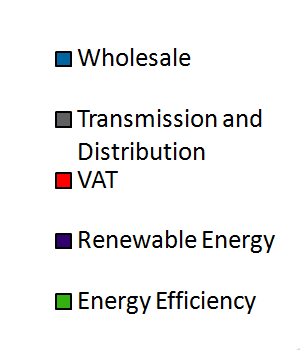 A detailed breakdown of cost increases is given in the report “Household energy bills – impacts of meeting carbon budgets” by the UK Government’s Committee on Climate Change, the bill increases were split up as follows (excluding profit margins) from 2004 to 2010 for an average dual fuel bill (electricity and gas) . 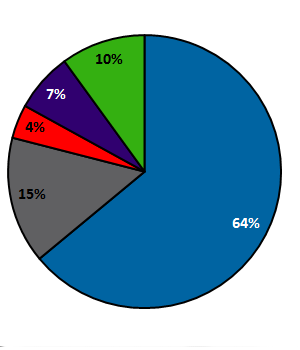 It is important to stress that money funding low carbon measures, such as Carbon Emissions Reduction Target (CERT), was used to insulate homes, and thus although the low carbon measures have slightly increased bills, this money is being used to lift the most vulnerable out of fuel poverty. From the graph above, it can be seen that renewable energy is not increasing bills. The reliance on wholesale prices of gas are a major contributor, and it seems likely that fuel bills will continue to increase with the wholesale price of fossil fuels, which are showing a general long term increasing trend. It is important to state that a greater dependence on renewable energy will protect the UK somewhat from these increases, the UK expects to have 30% of electricity from renewables by 2020  . The gas grid will be mainly natural gas, unless there is a considerable increase in the production of gas through methods such as anaerobic digestion. Currently this is limited to a few brewery waste and sewage schemes, so there is considerable growth potential. Work by the Committee on Climate Change has shown that if renewable energy systems continue to be invested in, this will increase energy bills by £100 by the year 2020. However, not investing in renewable energy could lead to far higher bills. For example, if fossil fuel gas is the main component of the energy system in the UK in the future, then bills could increase by £600 by the year 2050 . In short, renewable energy is not the major cause of energy price increases, and not supporting renewable energy will cause bills to be increased even more.